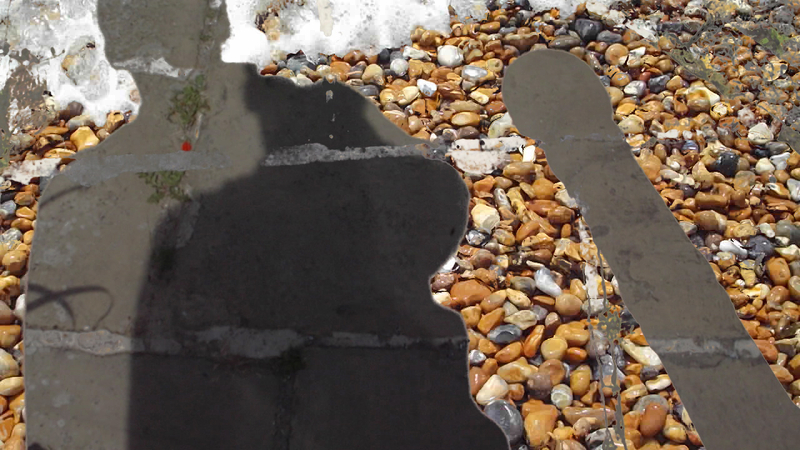 Pebble Dot Dash by Philip Sanderson combines flâneur footage with shortwave radio recordings. 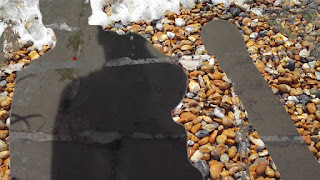 The camera takes a series of walks on and off the beaten track around the coastal town of Hastings. Time slips elliptically by as movements there and back are merged electronically; the train arriving whilst departing, the tide going in as it goes out, a man shadowing his own footsteps. The moving images are married with shortwave transmissions from across the globe, captured during filming. These broadcasts from China, Pakistan, Russia, the USA, and elsewhere, reflect contemporary neo-liberal anxieties; deals and scams, the financing of the second coming, aspiration and desire. Sound and image mesh asynchronously, global audio relocating the here to there. For the first week in March 2018 the UK was thick with snow. 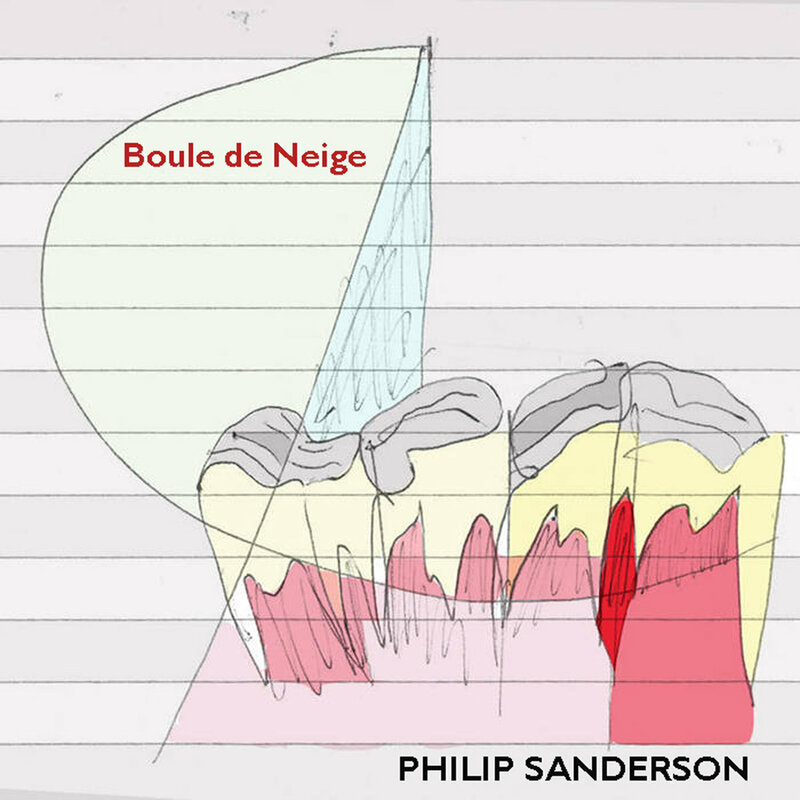 The combination of white outside and sharp periodontal twangs inside, prompted the recording of a somewhat old school 16 minute electronic track called 'Boule de Neige'. The piece was made using a homebrew Max/MSP/Jitter Synthi, but rather than the usual Sanderson/Storm Bugs clattering sequences you get a free-form improvisation. The main patches uses a variation on the no-input circuit much beloved of David Tudor. Here a touch of white noise seeds a feedback loop that moves between modulated hi and lo pass filters, giving one the sharp dynamics of a sound on the edge of break-up, not far removed from a bowed hubcap or squeaky gate. The overall feeling of 'Boule de Neige' is very akin to a couple of the live sessions I played with Nigel Jacklin and the Rupenus Brothers back in the early 1980s, hence the subtitle (Alien Brains for Breakfast). 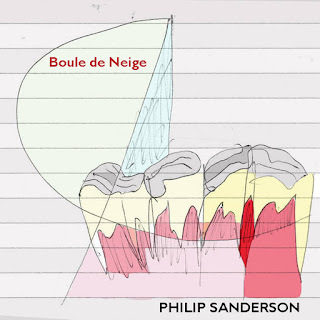 Having uploaded 'Boule de Neige' to Bandcamp, four more recent tracks were added to make up a full long player. 'Factory Settings' features the soft Synthi/VCS3 again, but with a sequencer and delay line for self-pollinating cross rhythms. 'Window Walk' is an instrumental version of the track included on the 2017 Linear Obsession Christmas compilation A View from a Hill. The track began life as a visual sequence of shifting squares, which were then translated into their audio equivilent by Artmatic. 'We Thought it Would be OK but the Wind Changed' was originally credited to Maids of the Marsh and included on the M - The Thirteenth Letter ‎CD Compilation assembled by Daniel Blumin for WFMU in 2013. The children's voices come from a 1970s public safety film highlighting the potential dangerous combination of high voltage power lines and kites. The music is a nod to children's TV programmes from the same decade such as, The Owl Service, and Children of the Stones. Lastly 'Broken Morning' is an inversion of the spirit if not the music of the popular Christian song 'Morning has Broken'. Instead of chiming guitars and angelic voices celebrating the new day, one gets more of a granular synthesis lament, with yodeling and a percussion loop. Oh and the drawing was made during a workshop on REF impact statements!